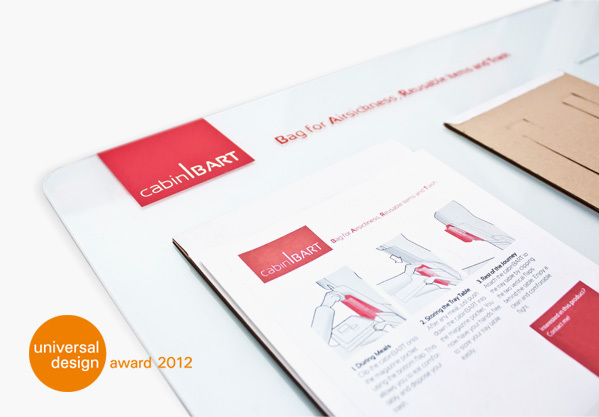 If you want to see the cabinBART concept prototype and some additional detail information about it live or want to talk to the designer personally, you have the chance to do so at Hannover Messe 2012. cabinBART will be part of the Universal Design Award Winners Exhibition from April 23 to 27 in Hall 6, Booth B22. Besides, on April 26, from 11.00 to 13.00, the Award Ceremony will be held at Hall 2, Booth D10. If you want to talk to the designer about the concept personally, you have the possibility to meet him there or at the exhibition afterwards. If you plan to do so, it's best to send a little notice over the contact page beforehand, just to be sure not to miss each other.